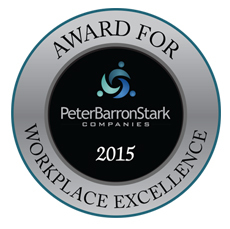 DCI Group has received its seventh Peter Barron Stark Companies Award for Workplace Excellence. The honor is awarded to exceptional organizations committed to a culture of workplace excellence, and is limited to those that achieve an overall favorable response exceeding 80.0 percent on their Employee Opinion Surveys. DCI Group joins 12 other outstanding companies to have received the honor in the last year.